ALL HANDS ON DECK! We are beginning to plan for the Bunny Breakfast and we need everyone’s help. Please look for volunteer sign up sheets, donation opportunities, and much more information to come over the next several weeks. The Bunny and the Chorus needs YOU! Bunny Breakfast is tomorrow 9am to noon in the cafeteria. First shift volunteers please report at 8:30. Everyone! – we need everyone to chip in a dozen hard boiled eggs for decorating. Spread the word! Thank you to everyone who contributes and volunteers. We appreciate you! Adults: We need your help. If you at all can, please come lend a hand at our annual Bunny Breakfast. A two hour block of time either from 8:30 to 10:30am or from 10:30 to 12:30 (ish) on Saturday morning (March 3) would be the biggest help. Any time you can spare would be much appreciated. Volunteer will help with activities, assist guests, serve food and help the booster officers any way we can. 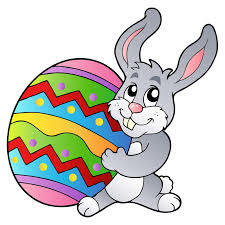 Students: Please bring your candy donation for Bunny Breakfast treat bags to Mrs. Kipp’s from by Friday. EVERYONE: Spread the word! The annual Bunny Breakfast is Saturday March 3 from 9am to noon in the High School Cafeteria. Cost is $8 and includes pancake breakfast, activities for the kids, and a photo with the bunny. Thank you all! See you at the breakfast! 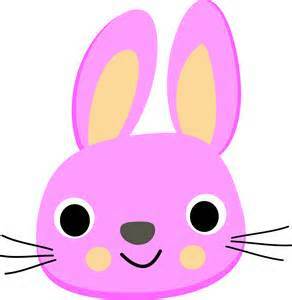 Please see Mrs. Kipp to volunteer for Bunny Breakfast (March 3, first volunteers arrive at 8:30 we need coverage through noon and cleanup after.) or for the setup Friday night, March 2 from 6pm to about 8pm. Working 2 hours for the Bunny Breakfast covers your spring banquet ticket. All volunteers and donations are greatly appreciated! If you can give time to the Bunny Breakfast please contact Mrs. Kipp at lkipp@cvsd.net. Thank you! The March CVCPSA meeting will be Wed. the 8th at 7 pm in the chorus room. The meeting is MANDATORY for everyone going on the trip. We have a busy agenda! Beyond trip paperwork, we also need parents to sign up for a 2 hour shift to help at the Bunny Breakfast along with the students. If you haven’t already, please bring in a bag of candy for the Bunny Breakfast treat bags. CVCPSA met February 15, 2017 at 7 pm in the chorus room with Mrs. Kipp, 3 Officers, 4 Adults and 6 Students in attendance. Penny Wars for yearly T-shirt ended Feb 10. Winning design to be announced. Students are asked to please bring a bag of candy to Mrs. Kipps room asap for BB treat bags. Announcements will be placed online and in the Almanac. Bunny Breakfast is Saturday April 1, 2017 from 9am to noon. Cost is $8 per person. Trip itinerary and form packet will be given out. MANDATORY trip meeting is March 8 at 7pm. We are attempting to have a notary available for trip paperwork. There will be an evening dress rehearsal for spring concert. Congratulations to all the students who performed in Soundwaves on the 8th and 9th. It was a great show. Well done, everyone! Thank you to Mrs. Kipp for all she does for the chorus students. Special thanks to Mrs. Bohaski and Mrs. Richards for setting up, coordinating ticket sales, after – performance refreshments and so much more. Up next: CVCPSA meeting this coming Wed. Feb. 15, 2017 at 7pm in the H.S. Chorus room. Bunny Breakfast is on the agenda! On deck: MANDATORY trip meeting Wed. March 8, 2017 at 7pm in the chorus room. Please watch for forms to be completed and notarized. More details to follow. Students – don’t forget to sign up for your 2hr shift at setup or Bunny Breakfast which will cover your admission to the Spring Banquet. If you know of anyone who signed up to get separate email remainders, but hasn’t been receiving them, please ask them to check their spam folder and add chartiersvalleychoruspsa@gmail.com to their contact list. send your email contact to chartiersvalleychorus@gmail.com and ask to be added to the list.